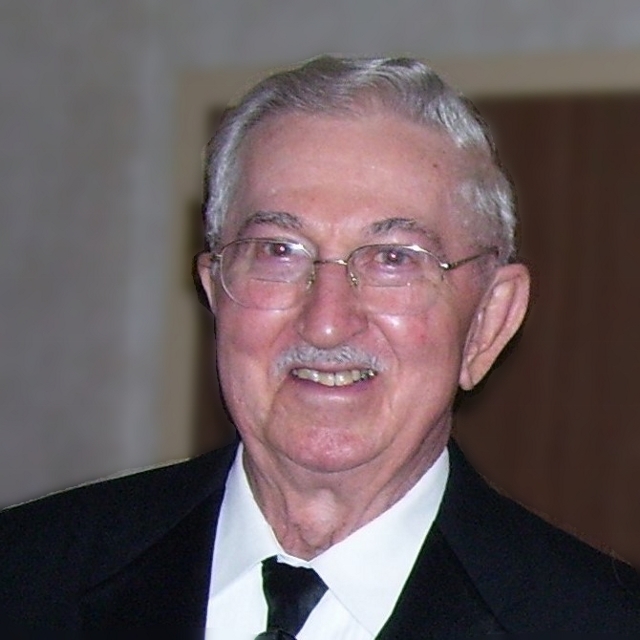 Henry A. Stapinski, 93, of Bell Township, passed away Monday, Feb. 18, 2019, at Latrobe Hospital. He was born Oct. 7, 1925, in Avonmore, a son of the late Peter and Margaret Pozepka Stapinski. He was a World War II Navy veteran, having served in the European Theatre of Operations, and was awarded two battle stars. After the war, he graduated from the University of Illinois, receiving a Bachelor of Science degree in two majors, management and marketing, with emphasis in accountancy, in 1949. Prior to retirement in 1985, he was employed by the former Lukens Steel Corp. (National Roll) in Avonmore as a plant accountant for 33 years. Henry was a member of St. Ambrose Catholic Church, where he served as altar server until his senior year in high school. He was also a member of many local organizations, including the Polish National Alliance No. 1234, life member of the Veterans of Foreign Wars Post No. 7901, all of Avonmore, and the Saltsburg American Legion Post No. 57. He served several positions in the VFW, including 44 years as post quartermaster and adjutant. He was a life member of the Institute of Management Accountants, continuous since year 1951. He was a lifelong fan of polkas, traveling throughout the country following his son's polka bands, including cruises and bus trips, and loved dancing at Fiedor's Grove and Seven Springs Polka Fireworks weekends. He enjoyed tinkering around the house, gardening, doing yard work, listening to all types of music, especially Li'lJohn's and Frank Powaski's polka radio shows on the weekends. He was an avid golfer and bowler in his retirement years. Henry was the strong, silent type and the patriarch of the family. He is remembered by his many friends in the community as a kind and generous gentleman and the owner of the sharpest Cadillac in the valley. In addition to his parents, he was preceded in death by the love of his life, his wife of 65 years, Providenza Sturiale Stapinski, on June 18, 2018; three sisters, Catherine Ziemianski, Stella Stapinski and Mary Toth; and three brothers, Walter, Joseph and Bernard Stapinski. He loved his family and is survived by his daughter, Karen Sheaffer (Victor), of Ford City, daughter Janice Galo (Randy), of Saltsburg, and son Michael (Gina) Stapinski, of Naperville, Ill.; four grandchildren, Stephanie (Jason) Yauger, Steven (Michelle) Galo, Angela (Charles) Thiel and Anthony Stapinski; his great-grandchildren, Noah and Sophia Yauger, Clara Galo, and Parker and Winston Thiel; as well as his sisters-in-law, Ann and Sandra Sturiale; and numerous nieces and nephews. Family will receive friends from 2 to 4 and 6 to 8 p.m. Thursday, Feb. 21, 2019, at KELLY L. CORRIDONI FUNERAL HOME LTD., 400 Indiana Ave., Avonmore. A Mass of Christian burial will be at 10 a.m. Friday at St. Ambrose Roman Catholic Church in Avonmore with Father John Harrold as celebrant. Interment will follow at Twin Valley Memorial Park in Delmont.